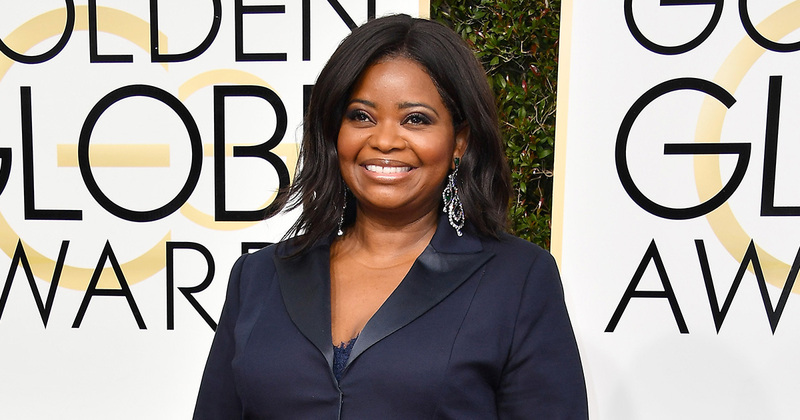 In the spirit of Martin Luther King Day, Octavia Spencer offered low-income families a free screening of her movie Hidden Figures. Given how inspiring Hidden Figures is as a story, we’ve also been blown away by the cast and their incredibly empowering messages. Not only has Taraji P. Henson spoken about the importance of women supporting each other, but Octavia Spencer herself constantly inspired us by talking about the diversity in the film and we listened to everything she had to say. Well, now Octavia has inspired us in another way: by booking out an entire showing of Hidden Figures for those who might not have been able to see it. The 46-year-old star took to Instagram to offer up a screening of the film to low-income families, and her reasoning will hit you in the feels. "If you know a family in need that would like to see our movie but can't afford it have them come. It's first come first served," she wrote. "My mom would not have been able to afford to take me and my siblings. So, I'm honoring her and all single parents this #mlkweekend Pass the word". In a supportive move, Taraji P. Henson shared Spencer’s Instagram post, while praising the actress’ move. "This is how phenomenal this woman is,” she wrote. “@therealoctaviaspencer bought out the movie theatre for tonight’s 8pm showing of #HiddenFigures …. for poverty stricken families who want to see this movie with their children on #MLK day. If you are in #LA & don’t have the money to see the movie with your children go watch for free tonight!" Following its release earlier this month, Hidden Figures beat out Rogue One: A Star Wars Story at the box office to claim the number one spot. The film follows the story of Katherine Johnson (played by Taraji P. Henson) and her colleagues, Dorothy Vaughan (played by Octavia Spencer) and Mary Jackson (played by Janelle Monae), three African-American women who were essential to the early days of the American space program. Tbh, it’s not only so inspiring that Octavia Spencer is involved in a film like Hidden Figures, but it’s so incredible that she’s reaching out to those who may be unable to go and be inspired by such an important movie.